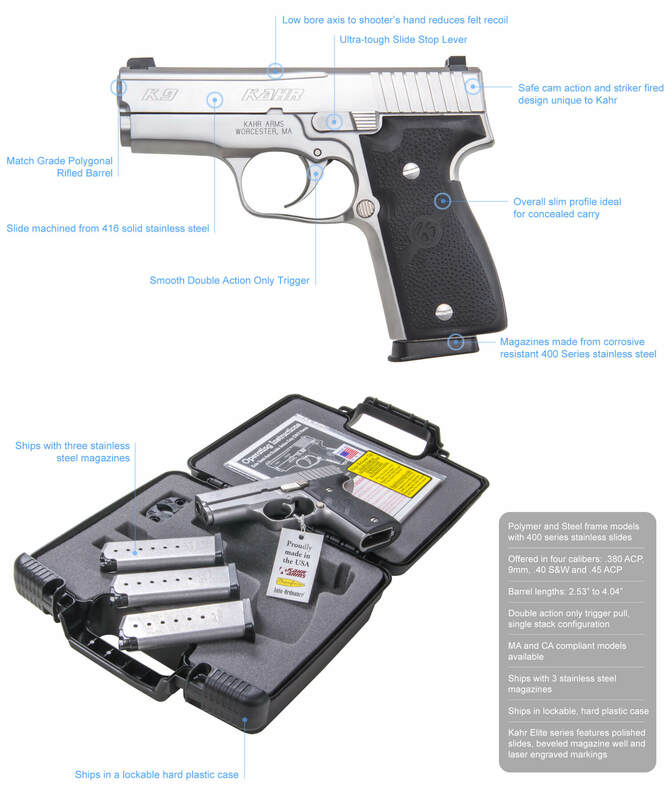 Kahr Arms T Series offers a full size carry gun with a thin profile in both steel and polymer frames. 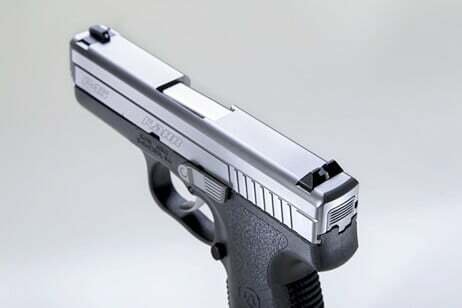 Featuring a Lothar Walther 4” match grade polygonal rifled barrel and silky smooth DAO trigger, this series provides an excellent “balance-in-hand” gun. 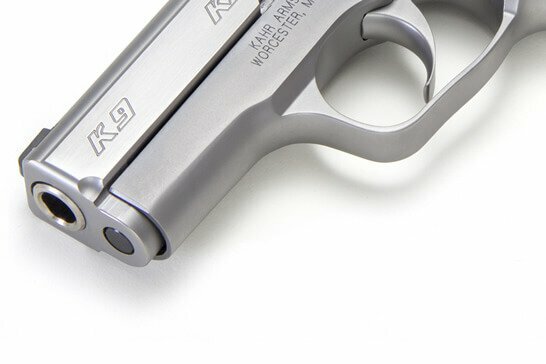 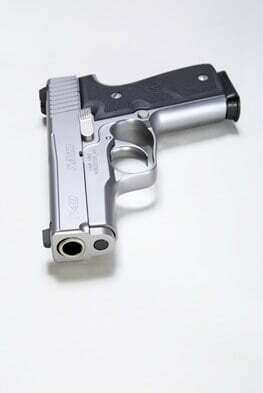 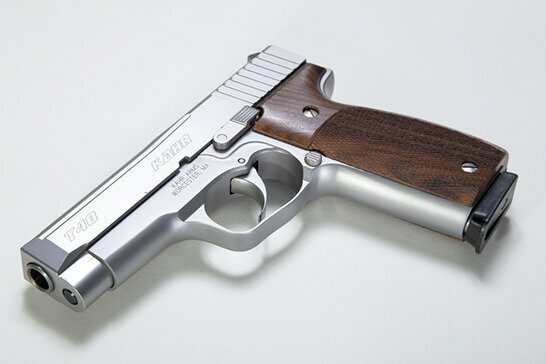 The K Series steel 9mm was the first design rolled out of the factory in 1995, and the line of concealed carry handguns has continued to grow ever since. 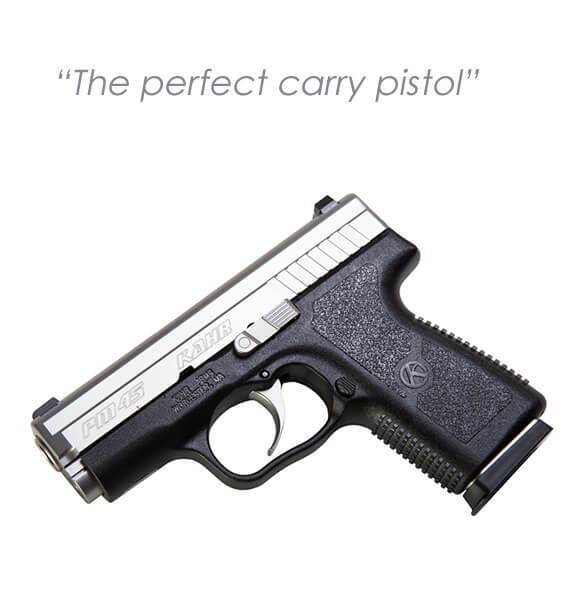 The P & K Series have proven themselves as being the best concealed carry/back-up gun on the market by offering high quality and total reliability in a compact thin package. 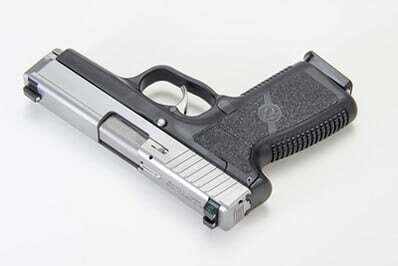 Length O/A 6.5", 6.1", 6.0"
Length O/A 6.07", 6.1", 5.8", 4.9"
Slide Width .75" - 1.00"